Arakawa's Thoughts on Shamballa. A funny 4-kona drawn kwa the Cow Goddess herself, spoofing the hug scene and how SHE would have ended Shamballa. Kind of like her own, subtle "take that!" at the movie, lol. 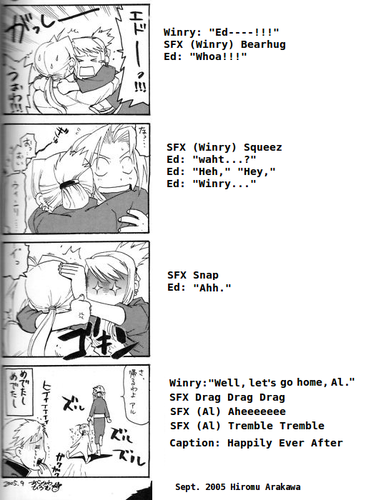 (GO WINRY!!). 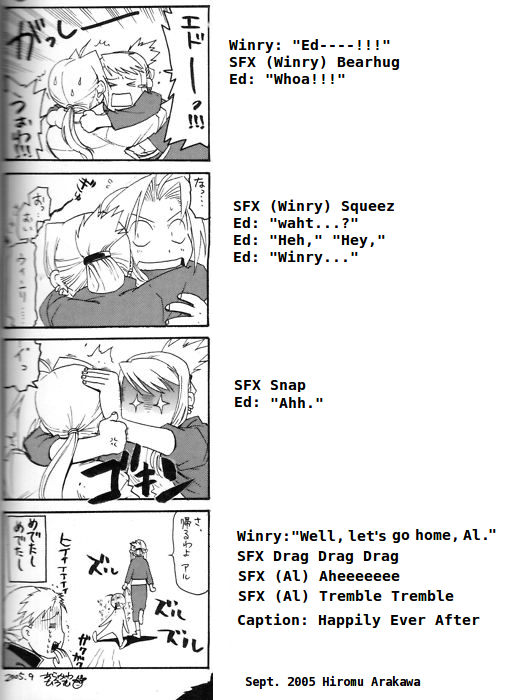 Wallpaper and background images in the Edward Elric and Winry Rockbell club tagged: fullmetal alchemist conqueror of shamballa ed al winry edwin hug drag home omake.